There’s one thing that I love as much as Magic and that’s a great glass of wine. Richard is a winemaker for his private brand, Vinum Cellars. He also produces a wonderful Pinot Noir, called Misha. It’s named after his 6-yr. old son, Misha. 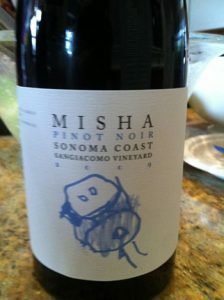 Believe it or not, all the money from the sale of this wine goes to Misha’s college fund. So, is Stanford or UC Berkeley in the cards for Misha? I guess we’ll just have to wait and find out. Click here to visit Vinum Cellars website. It was truly a pleasure meeting you and watching your unforgettable show! 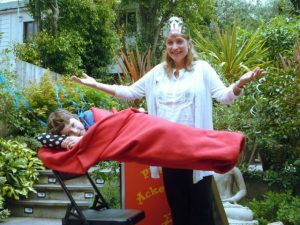 I can not thank you enough for the flawless performance, for the professional attitude and a very personal manner. We were honored to have you share your talent and experience and knowledge with us in such a small scale venue. It was AMAZING. Really appreciate it. Thank you.